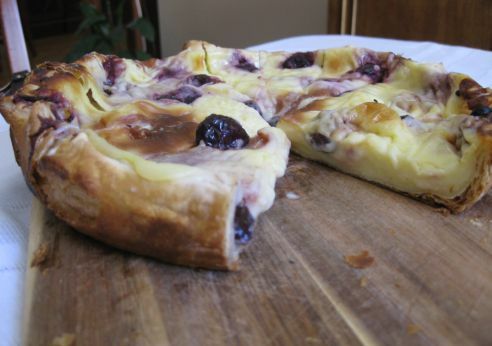 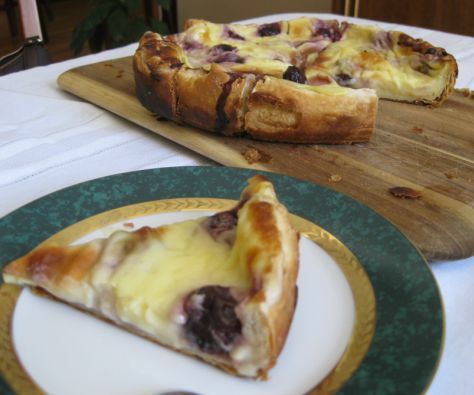 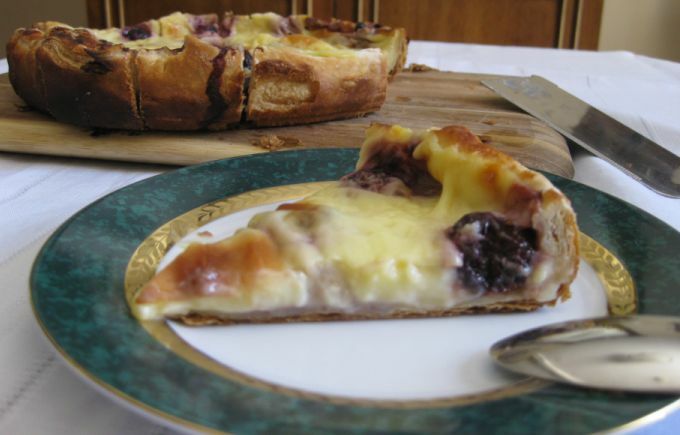 The Flan Pâtissier aux cerises is another classic French dessert. 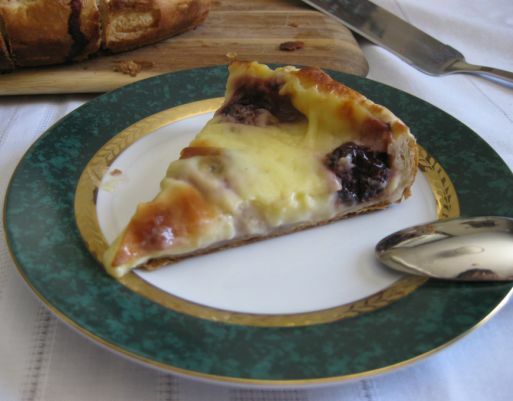 This dessert has a soft texture and intentionally soggy crust might be a bit strange to Americans, who tend to think that of Flan as being more like crème caramel or custard, but this dessert is extremely popular in France and are sold by slice in any Boulangerie. 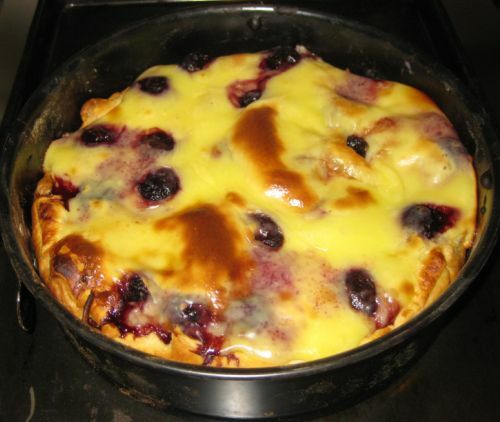 To the French this dessert is a classic comfort food where people can eat it forever and never get tired of because it is silky, creamy, soft and it has just enough sweetness to enjoy the blend of milk and eggs. 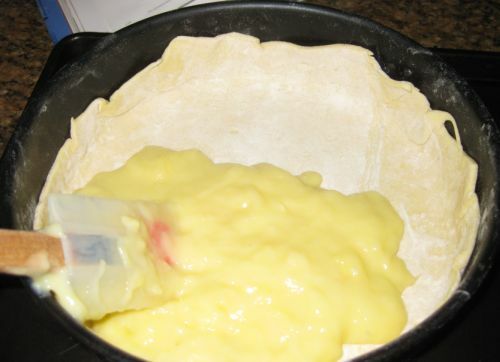 Here I am cutting the flan into small portion. 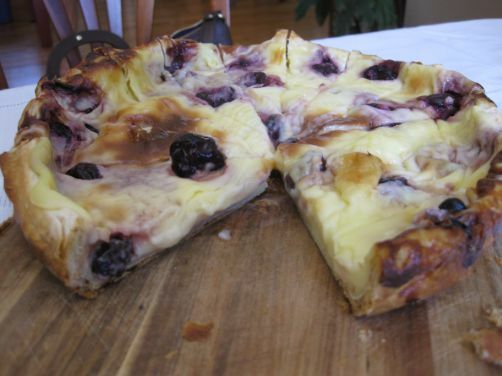 This Flan is always served cold and can be kept in the fridge for at least 3 days. 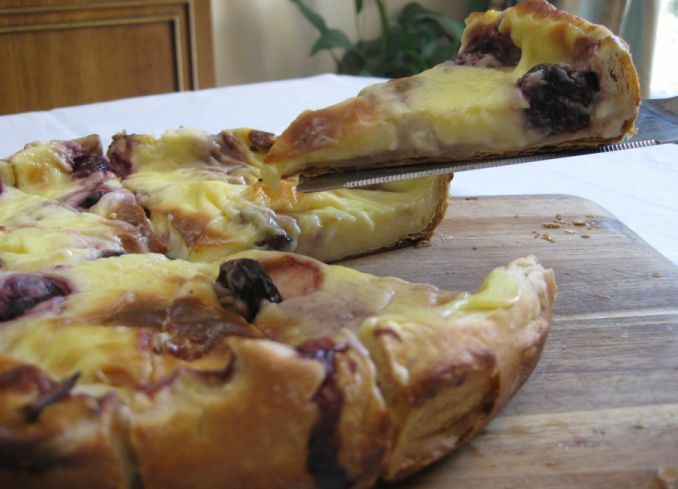 After school, I remember the numerous times rushing into a Boulangerie, before heading home, and making up my mind to either buy a slice of Flan Pâtissier, perharps a Financier, or maybe a Chausson aux pommes. 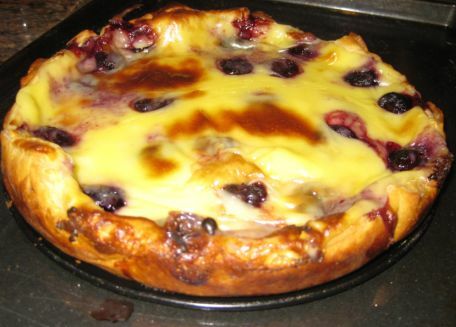 It was always so difficult to decide because everything looks good when you are so hungry after a long day in school and have to pick only one snack. 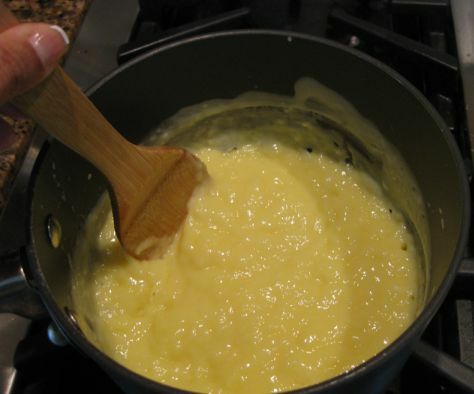 Preparing the custard by mixing the egg, egg yolk with sugar and milk. 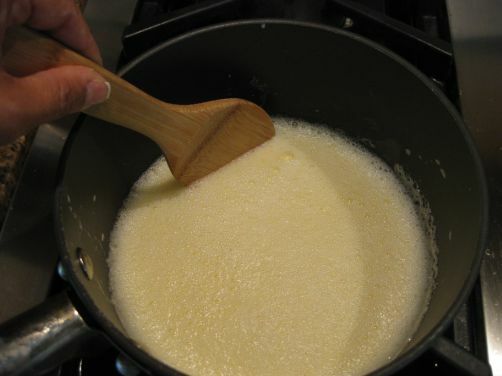 Cornstarch is added and then mixed. 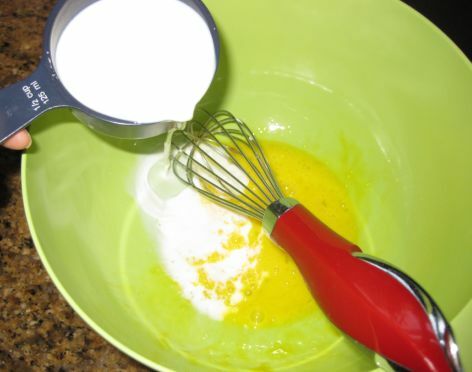 Whisking until all the milk is used. 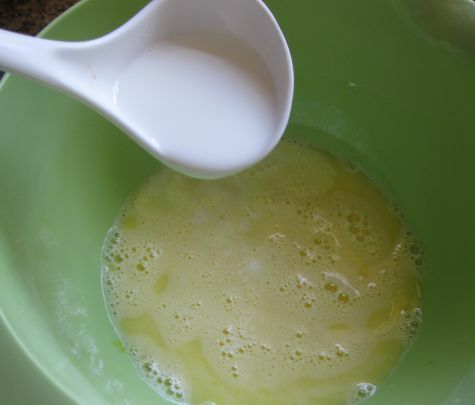 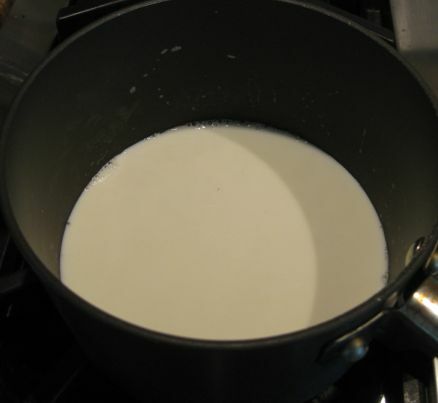 The pastry cream is thicken and is transferred to a bowl to cool down. 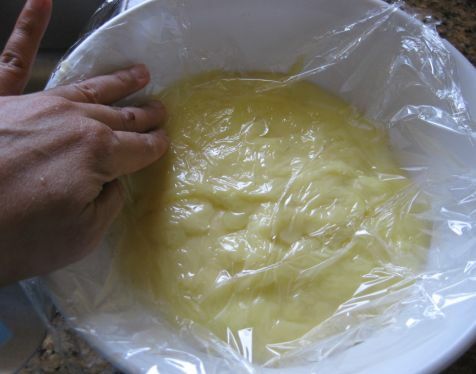 A piece of plastic wrap in wrap directly on top of the surface so that a skin does not form. 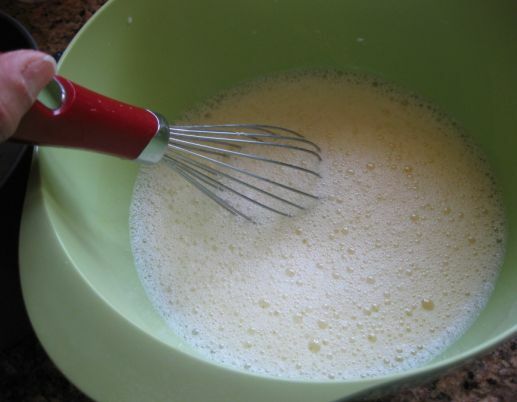 The pastry cream will rest for 30 minutes before proceeding. 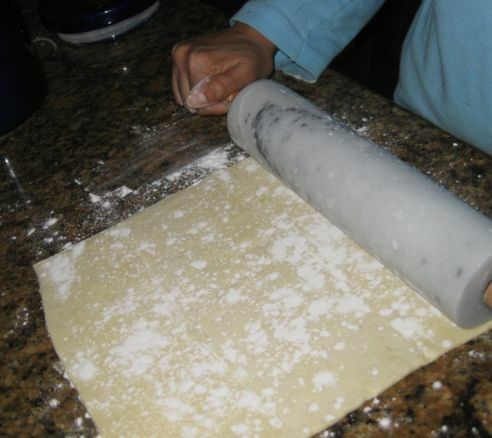 In the mean time I am rolling out a sheet of puff pastry. 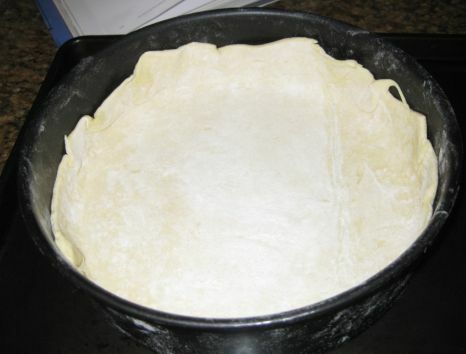 Fitting the dough into a circular 9 inch mold. 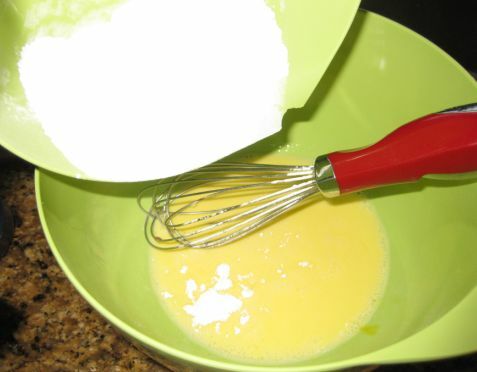 The dough will go back in the refrigerator for 30 minutes. 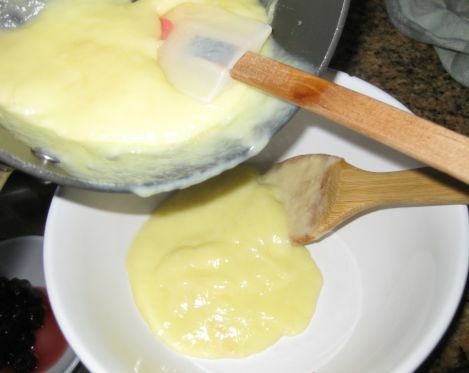 Spreading half of the pastry cream into the mold. 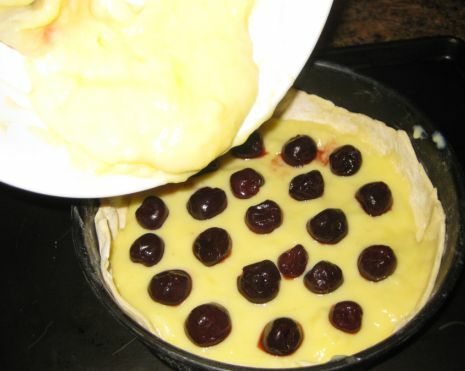 And the remaining pastry is added on top. 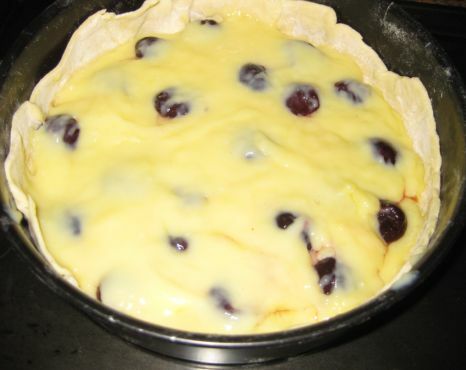 Removing the mold and I am letting the flan cool off before it can be refrigerated.